Oxfam GB has appointed Danny Sriskandarajah, head of the South African-based organisation Civicus, as its next chief executive. Oxfam said today that Sriskandarajah would take over from Mark Goldring towards the end of the year. Goldring said in May he would step down as Oxfam chief executive because the charity needed new leadership in the wake of the Haiti safeguarding scandal. 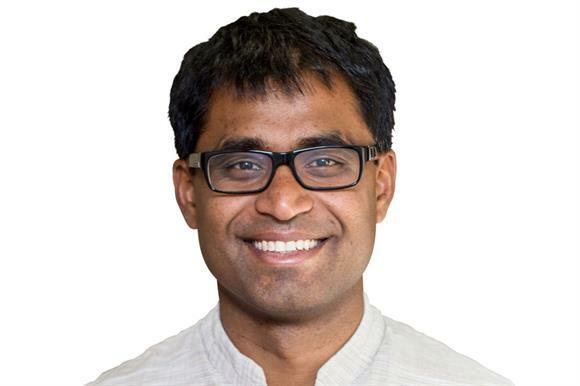 Sriskandarajah, who is based in London, has been secretary general and chief executive of Civicus, a Johannesburg-based global alliance of civil society organisations and activists that works to strengthen citizen action and civil society, since 2013. He was previously director general of the Royal Commonwealth Society, a charity that works to improve the lives of Commonwealth citizens. Before joining the RCS, Sriskandarajah was interim director of the Commonwealth Foundation and deputy director of the left-leaning think tank the Institute for Public Policy Research. He is a trustee of Comic Relief and a panel member of Civil Society Futures, the independent inquiry into the future of civil society, for which he wrote an article in 2017 that wondered whether it was the beginning of the end for the traditional voluntary sector. Sriskandarajah was born in Sri Lanka, but grew up in Australia and Papua New Guinea before moving to the UK in 1998. Caroline Thomson, chair of Oxfam, said Sriskandarajah was a "brilliant strategic thinker with a record of delivery" and "clearly the right person to lead Oxfam on the path of change and renewal". She said: "He has a deep understanding of the challenges facing the sector as a whole, including on gender justice. "One of the next generation of leaders, he inspires those who work with him and has a global reputation for original thinking. "Above all, we felt he would ask the difficult questions and work well with colleagues across the Oxfam confederation to come up with the answers." An Oxfam spokeswoman said Sriskandarajah’s salary was still being finalised but he would be paid less than Goldring and not enough to be among the 100 highest-paid charity chief executives. Goldring, who received £127,753 with a pension contribution of £12,818 in the year to the end of March 2017, did not appear on the list of the top 100 earners in the sector drawn up by Third Sector last year. The charity, which had an income of £408.6m in 2016/17, employs about 5,000 staff and has tens of thousands of volunteers.